Since 2006 I’ve been a contributing artist to this annual event, an all ages benefit and celebration for Domestic Violence programs at BradleyAngle.org and created by writer/historian Andy Mangels. 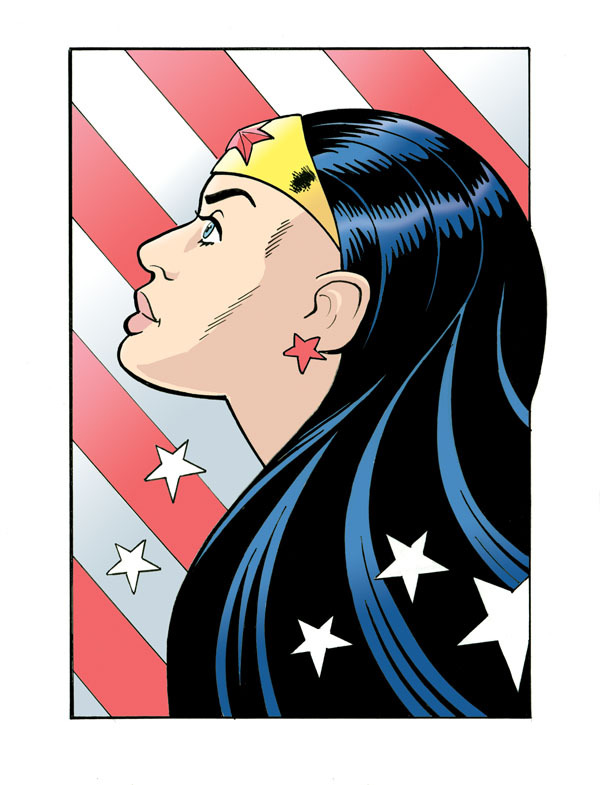 Originally titled Wonder Woman Day, this multi-city show is part of national Domestic Violence Awareness Month. 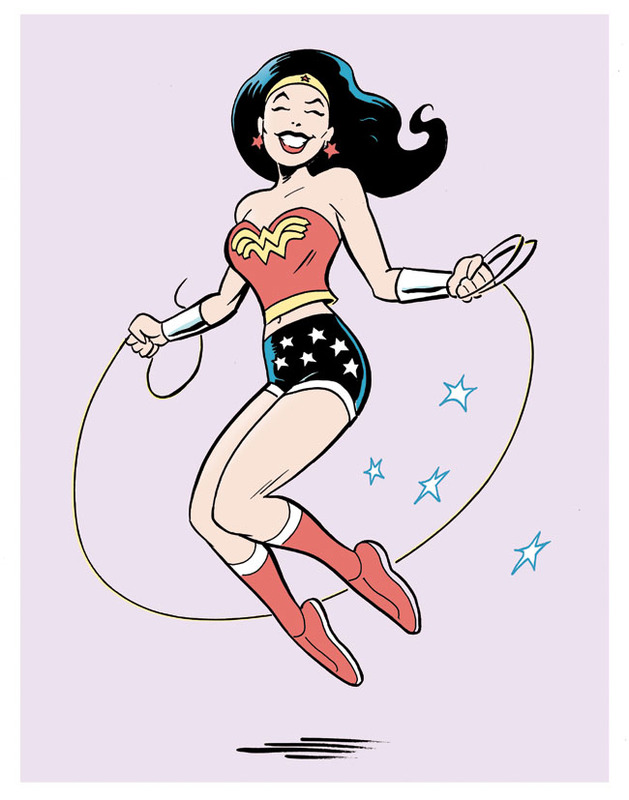 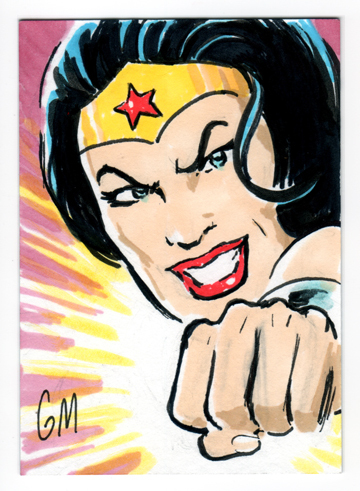 Here is a selection of my WW art from 2006-7. 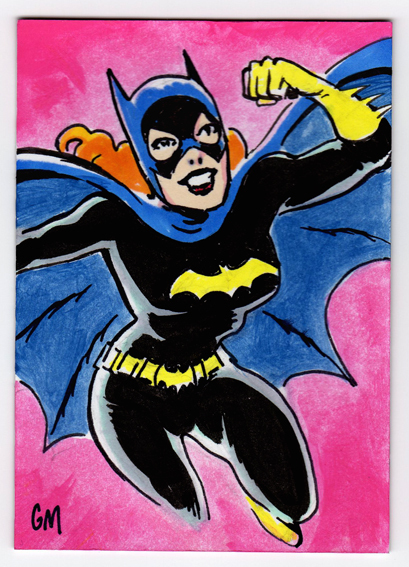 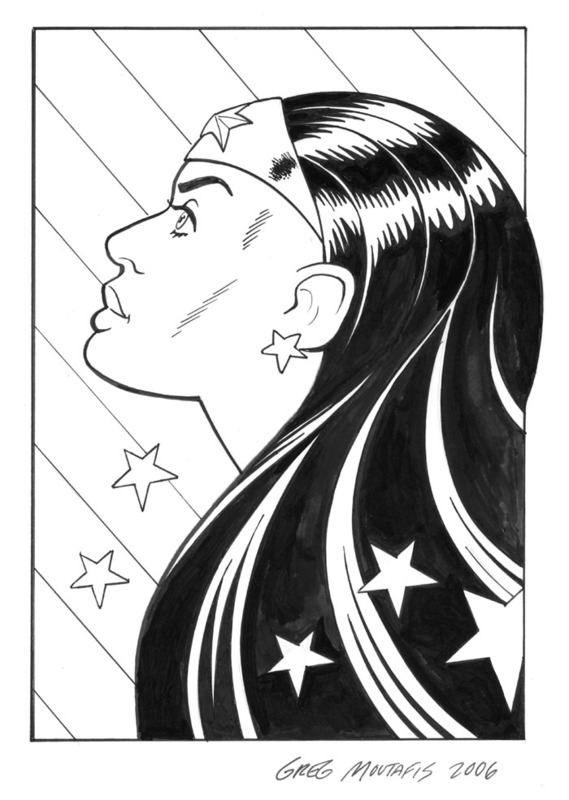 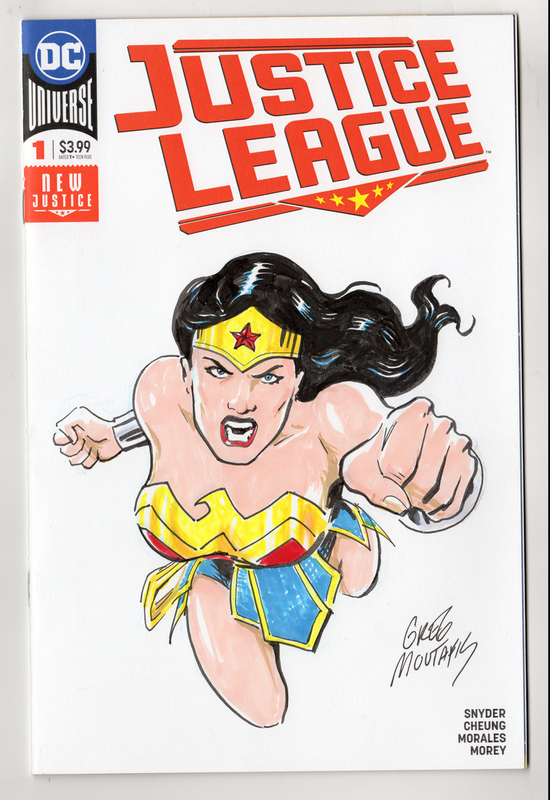 Pen and Ink originals donated to the Wonder Woman Day Benefit. 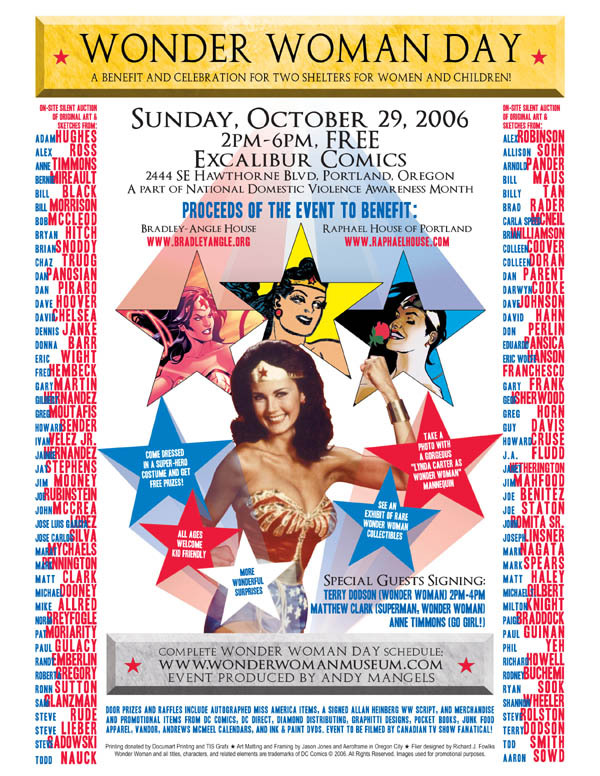 You can view more about the history of the Wonder Woman Museum and great archives of all past events at the links below.